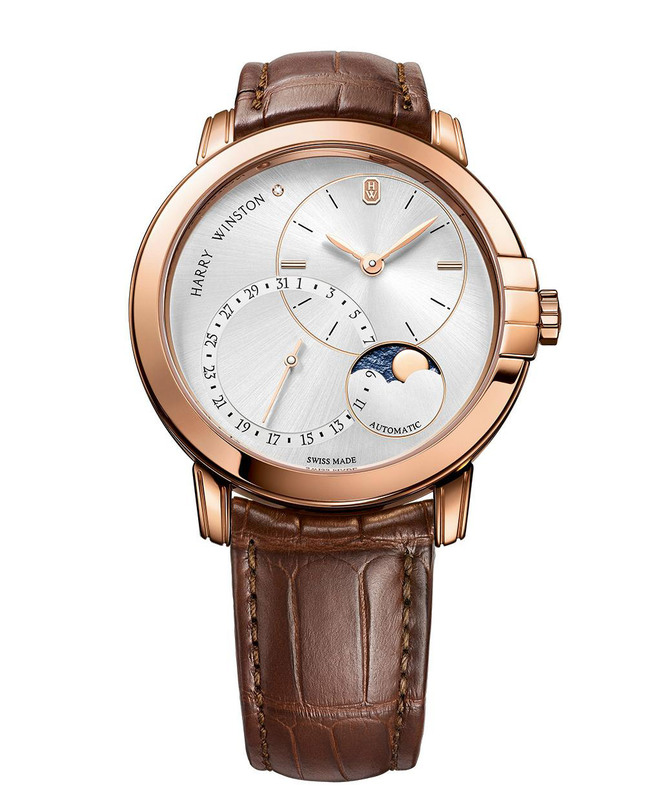 Harry Winston expanded its classic Midnight collection with a new automatic model featuring date and moonphase indications. The silver-toned sunburst dial of the new Midnight Date Moonphase Automatic (ref. 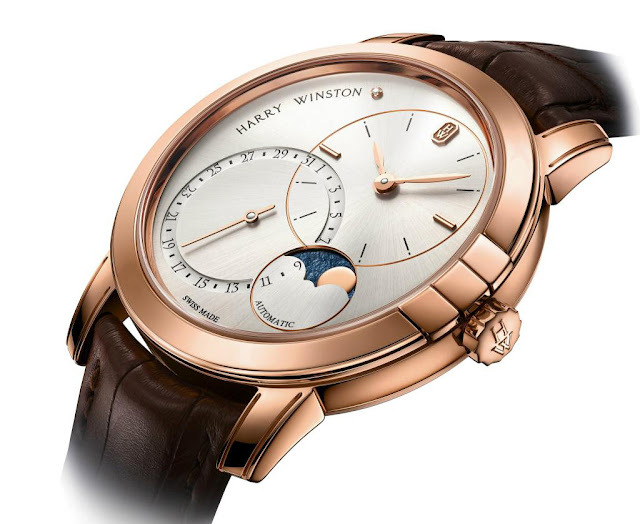 MIDAMP42RR003) is characterized by off-set hours and minute, date and moonphase counters with the Harry Winston logo and a small diamond (approx. 0.003 carats) to complete a layout of strong personality. The date is housed in a light and recessed zone to ensure that the numerals stand out. The moon disk features a deep blue textured appearance which makes the moon really stand out. The case has a diameter of 42 mm with a height of 10.2 mm and is available in 18-carat white or rose gold. The Harry Winston Midnight Date Moonphase Automatic is driven by Calibre HW3203, a mechanical automatic movement which beats at 28,800 vibrations per hour with a silicon balance spring to guarantee great precision. The power reserve is 68 hours. 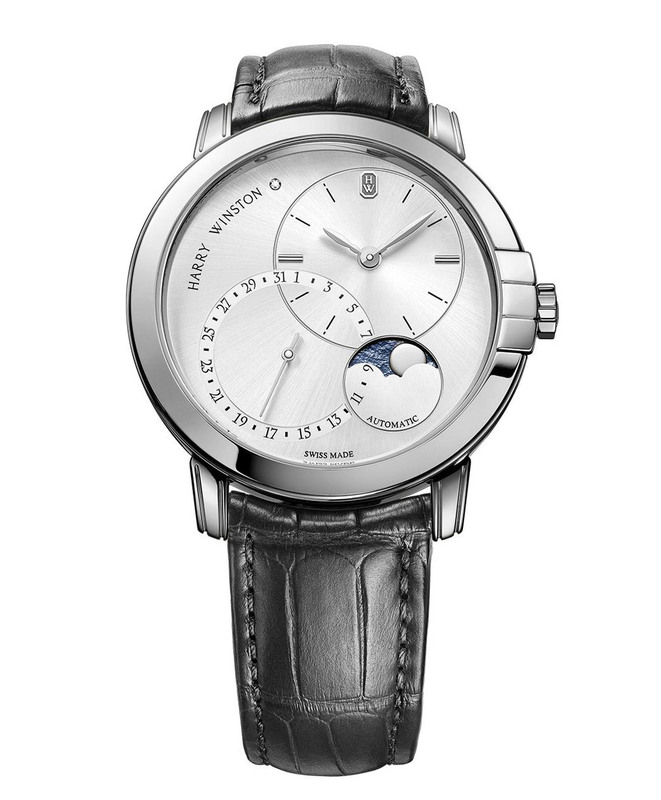 Harry Winston Midnight Date Moonphase Automatic 42 mm. 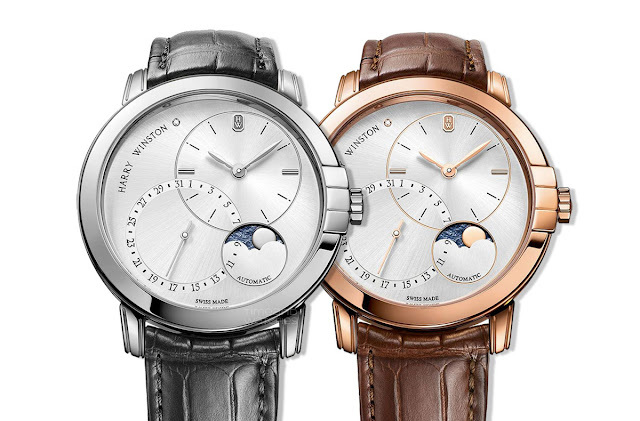 Harry Winston expands its classic Midnight collection with a new automatic model featuring date and moonphase indications. The silver-toned sunburst dial of the new Midnight Date Moonphase Automatic (ref. MIDAMP42RR003) is characterized by off-set hours and minute, date and moonphase counters.